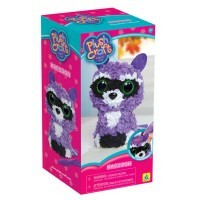 Decorate your own bright fabric 3 kitty friends to play with or present to someone special. 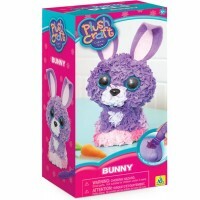 These cute little cats will purr as you finish decorating them! 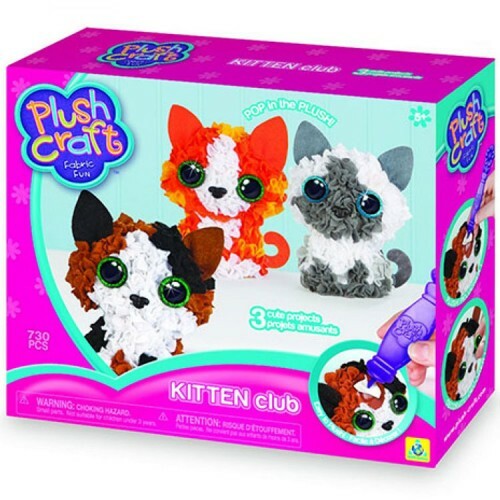 PlushCraft Kitten Club 3D Fabric Craft Kit allows young cat lovers to create their own not one, not two, but THREE play pals and unique room décor toys at once. 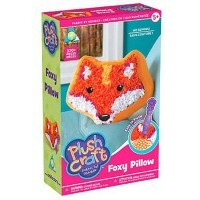 Using the enclosed simple instructions girls will love popping the enclosed yellow, orange, grey, bright brown, black, and white fabric pieces into the plushy kitty figurines. 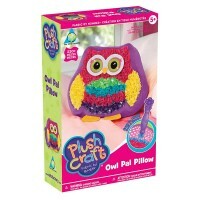 No sewing required, just use the enclosed craft stylus. PlushCraft Kitten Club 3D Fabric Craft Kit contains over 690 pieces of bright color fabric, 6 glitter eyes, 3 noses, 3 felt tails, 12 felt ear pieces, a stylus, and 3 cat-shaped models. 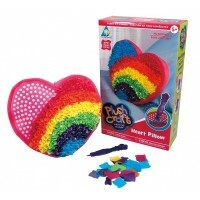 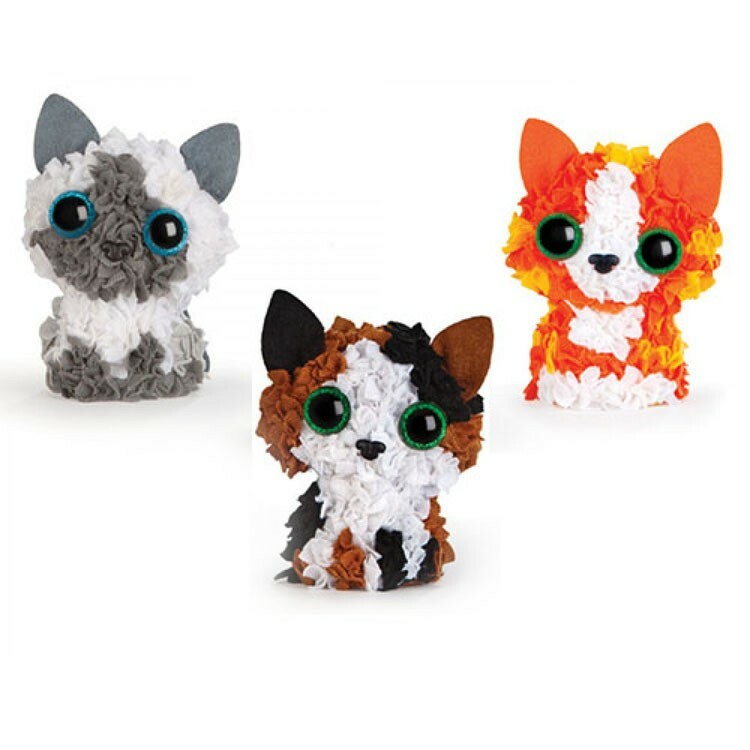 The finished kitty toys created with this best-selling girls craft from Educational Toys Planet will be eye-catching room decor items, or hand-made gifts for someone you love. 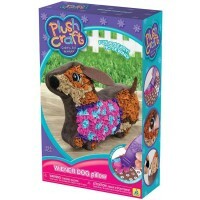 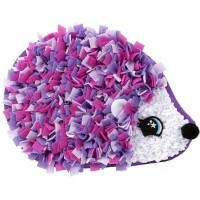 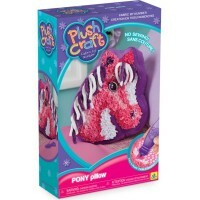 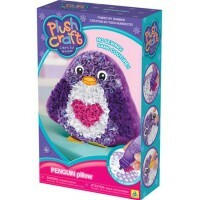 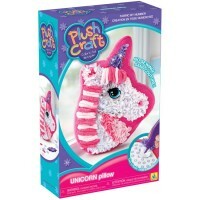 Dimensions of package 3" x 10" x 8.88"
Write your own review of PlushCraft Kitten Club 3D Fabric Craft Kit.